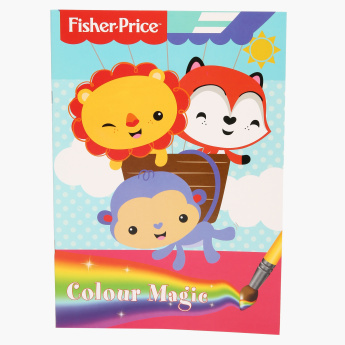 Fisher-Price Colour Magic Book | Multicolour | Pump up your child's creativity with this color magic book - a great gift for kids aged 3 and above. Enhance your little one's creative side and keep her interested using this magic colouring book. Merely by using water and a brush, your kid can colour the given images. Feature 2 : Kids will love to see colors magically appearing before their eyes. Simply dab a wet brush inside the pictures and wait for bright colors to enliven the characters. 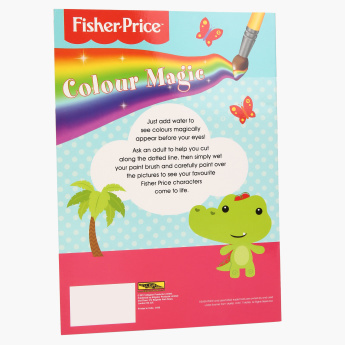 Feature 1 : Pump up your child's creativity with this color magic book - a great gift for kids aged 3 and above. Feature 3 : The book contains 16 pages of coloring fun to keep the child busy for hours.